« Clapping hands- let’s make some noise! A New Way to Promote Your Brand. Bottles and Tees, What More Could You Want? Looking to promote a new item but not sure what you want? Is it a new drink brand? Pharma item or something totally new you want to package in a new way? Here is a great item for you. We can take any tee-shirt and print it in full color with your branded logo and fold and package it into the shape of the item or even better to fit over the top of a bottle. 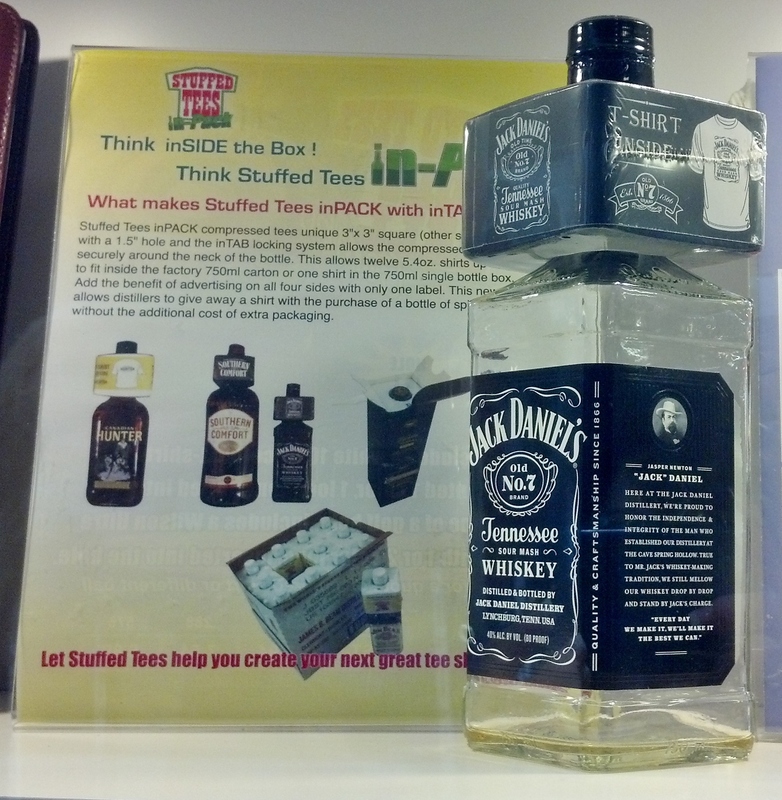 Now you have the bottle and tee-shirt all packaged together. Two for the price of one. All of your liquor brand companies out there; I am looking to help promote you. Are you as excited about this as I am? Let me know please.